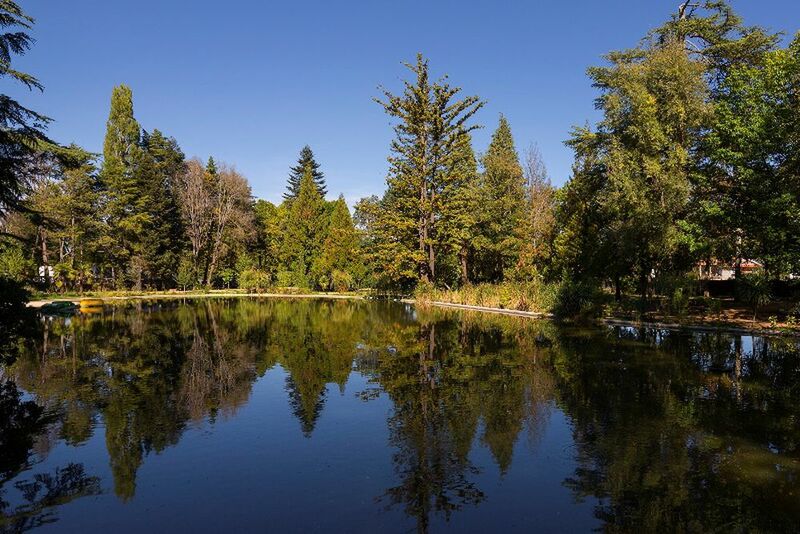 Escape the daily routine and immerse yourself in the nature of Portugal. Enjoy unforgettable views from your bed. 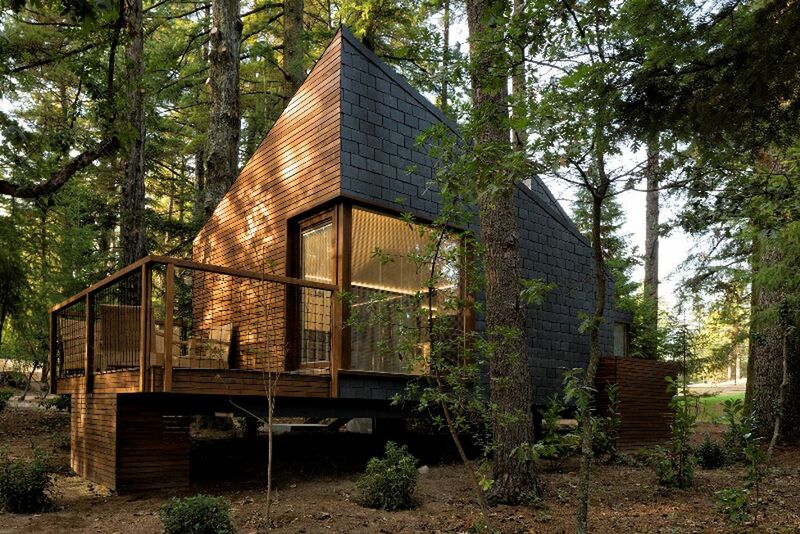 The tree houses offer the perfect kind of accommodation. 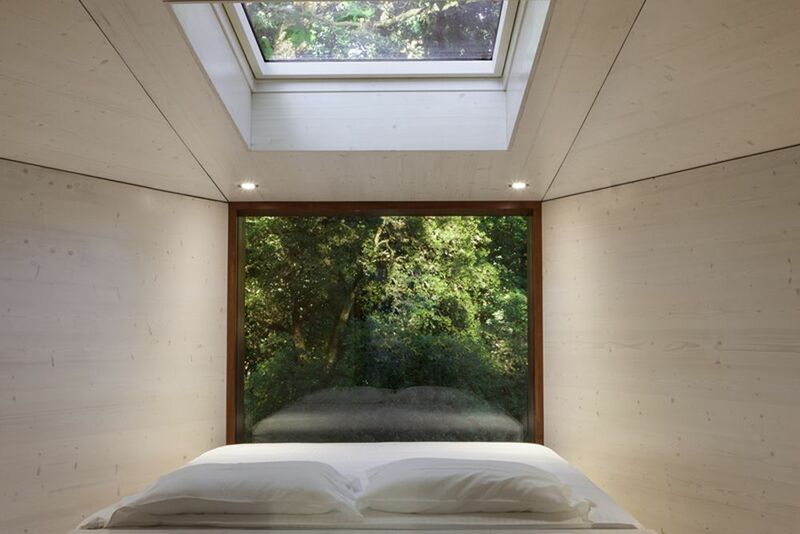 Ultimate relaxation, surrounded by trees. 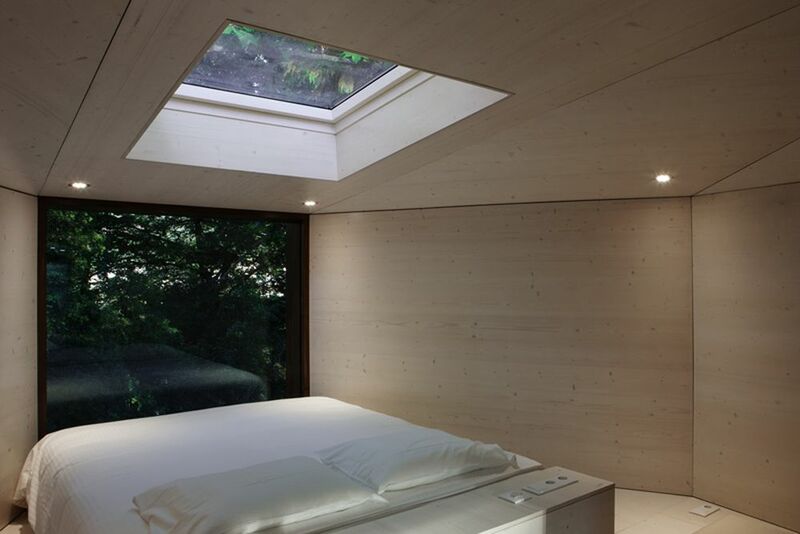 Relax here on summer nights. The lake nearby is perfect for a stroll or to cool down on a hot day. You will the peace you seek in these comfortably furnished houses. 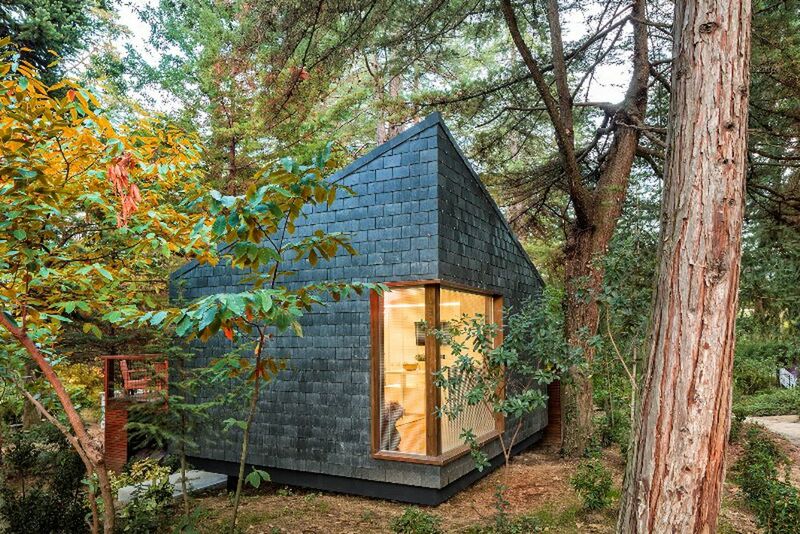 This can be where you relax on your next holiday. Escape everyday life in this spa area. 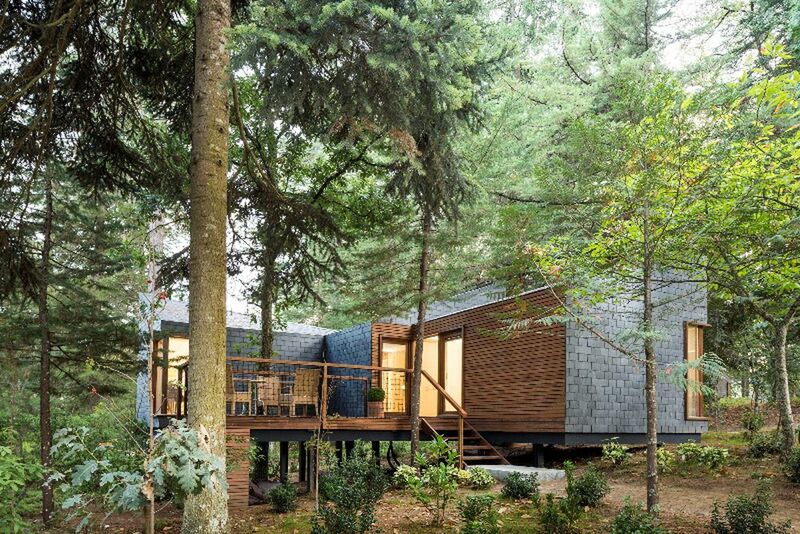 Spend unforgettable nights in the eco-houses of Pedras Salgadas and discover the beauty of Northern Portugal. Escape reality and relax in peace and tranquility in the middle of nature. 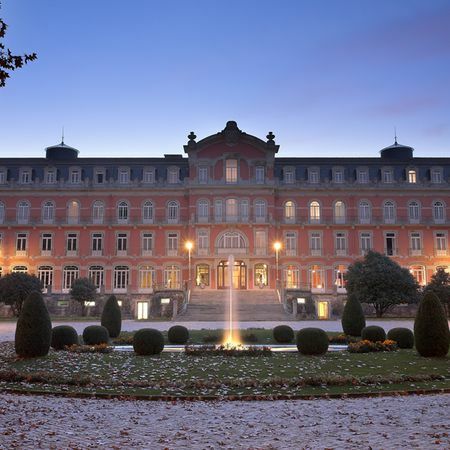 The Pedras Salgadas Spa & Nature Park is a 4-star tourist resort located in the north of Portugal, in the heart of the Pedras Salgadas Park. The delightful spa town is a fashionable destination where the power of the water and the natural beauty of the park combine to attract tourists who come from all over the world. Pedras Salgadas Park boasts an area of 20 hectares, with eight kilometers of paths that lead to the discovery of its intricacies. Here, all the energy emanated by nature remains intact. Located in the heart of the park, blending in with the natural environment, stand the Eco Houses, the ideal option for your stay. 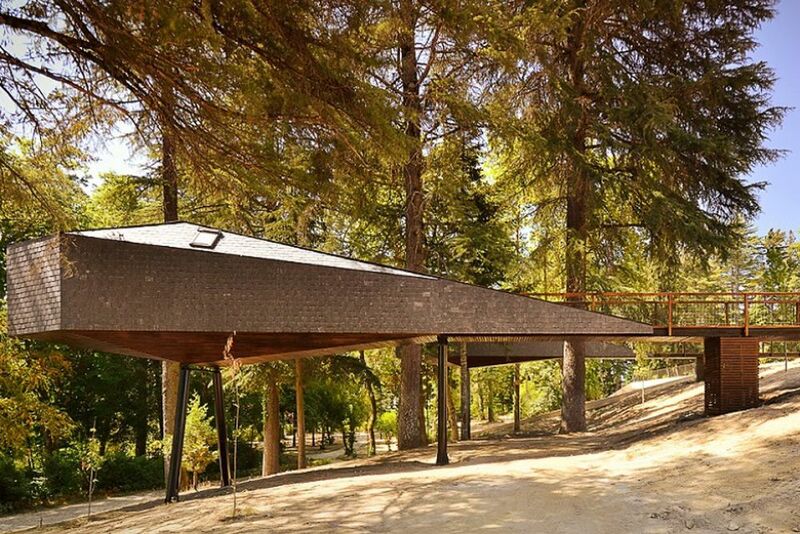 The work of the architect Luis Rebelo Andrade is modern in both its composition and its interior decoration. To savour the delicious, authentic delicacies of the Tras dos Montes cuisine, visit the terrace of the Casa de Chá restaurant, blessed with a view overlooking the charms of the park. 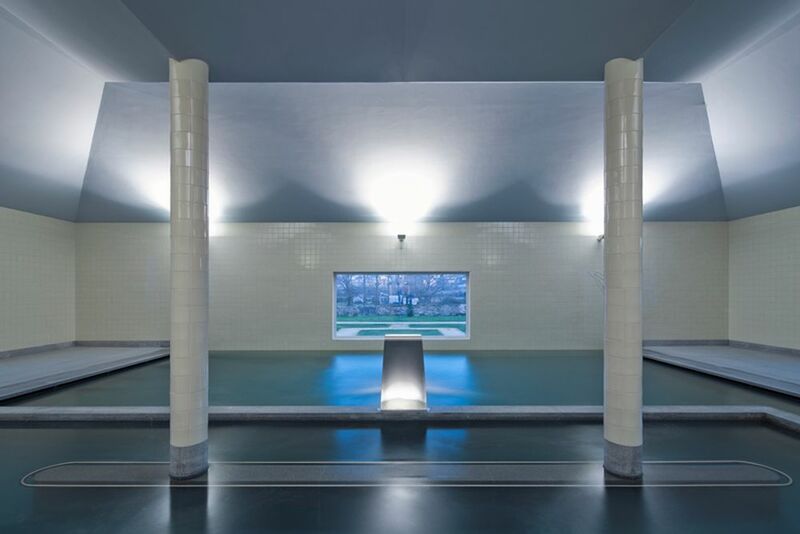 There are two outdoor swimming pools, one for adults and the other for children. Around the pool, there is a bar with ambient music and a range of drinks and snacks. 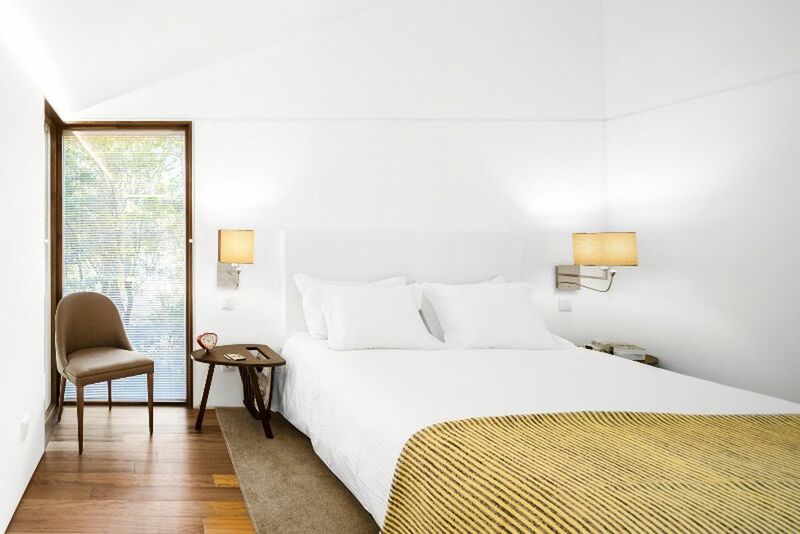 There is a total of two different types of accommodation in the middle of the Portuguese forests that offer the right kind of accommodation for every taste. Eco Houses- These are divided into two bedrooms, a living room, a kitchenette, a bathroom, a hall and a deck, designed in detail to ensure the utmost comfort, complemented by surrounding scenery offering absolute tranquility. Other amenities include free Wi-Fi, TV, air conditioning, safe, hair dryer, dishwasher and microwave. The Deluxe Eco Houses (61.5 sqm) are made for 2 people with the option of two extra beds. The Superior Eco Houses (43.8 sqm) has a base occupancy for two people, and the possibility to include two extra beds. 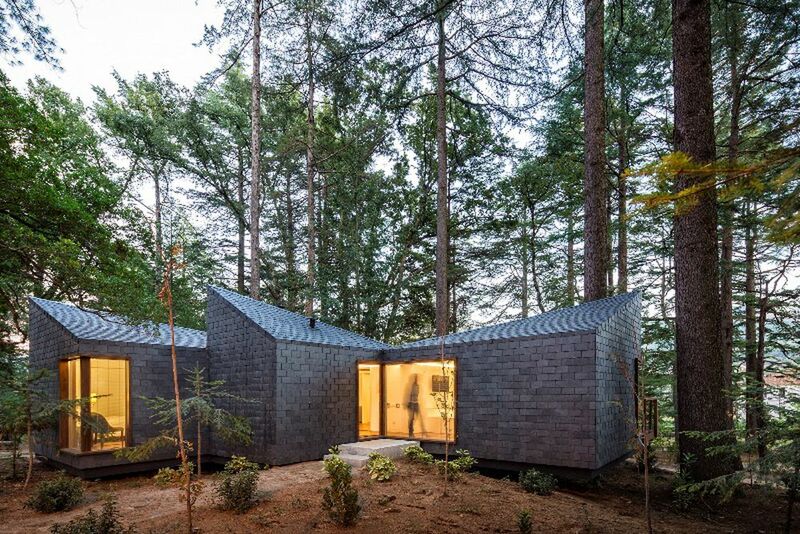 Tree Houses - Coverings in slate and wood, indigenous raw materials help foster integration with the landscape and render these architectural houses invisible, thus maintaining focus on this one-hundred-year-old park. 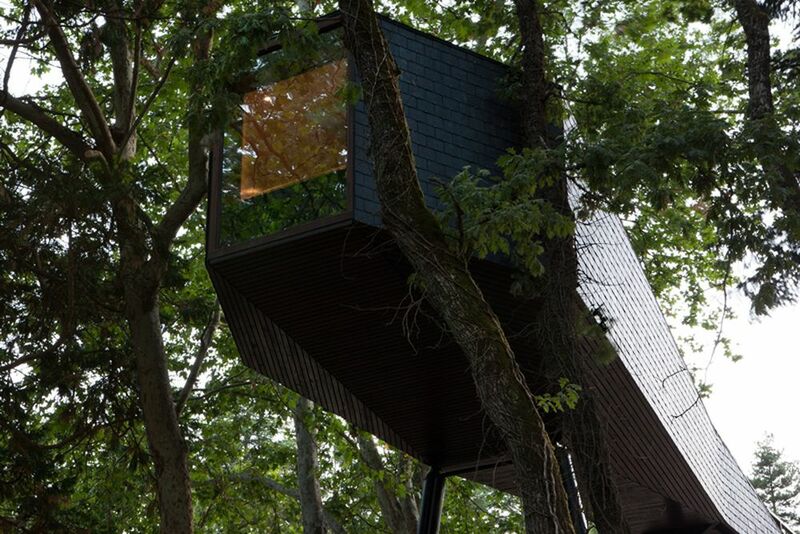 Inside, the tree houses have two windows, on through which the life of the park may be observed, and another to look at the stars, a bathroom divided into 2 parts, a kitchenette, a double bed and a sofa. 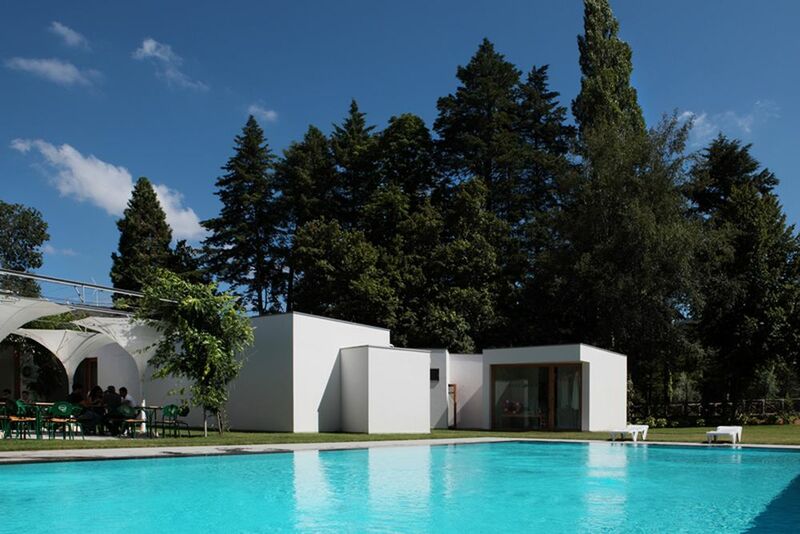 For larger family groups of up to 6 people, the Privilege Eco House is available upon request. The water of Pedras Salgadas has origin in the village. Unique in the world, this spa will elevate you to the purest state of well-being. 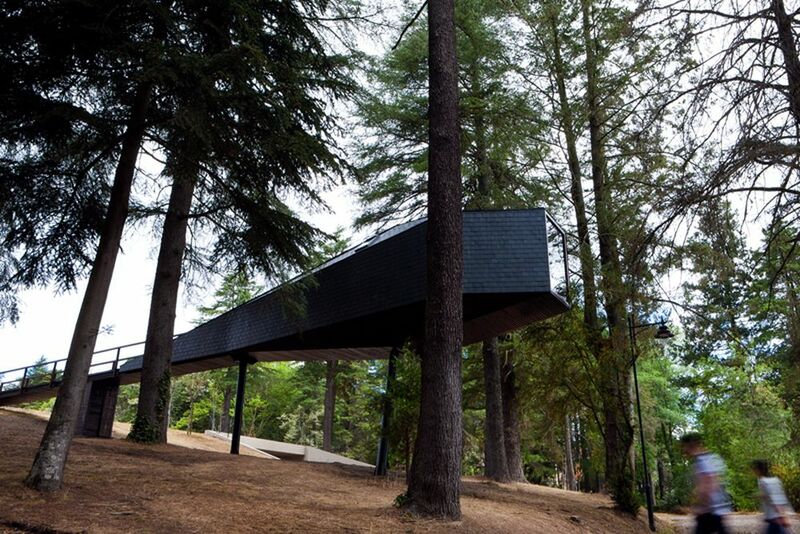 Live irresistible moments at the Pedras Salgadas Thermal spa, surrounded by classic Portuguese architecture, masterfully modernized by Siza Vieira. In this temple of health and wellness, you are able to enjoy different treatments, massages and relaxation therapies. 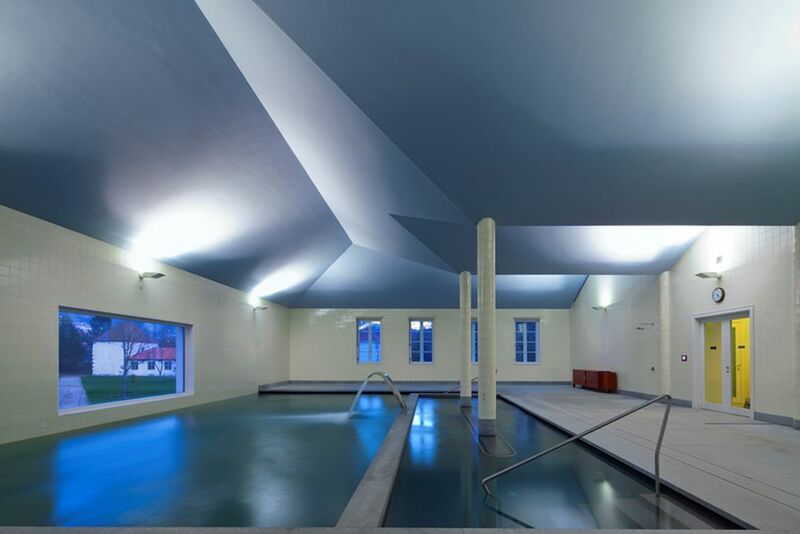 There is an indoor heated pool, sauna, hammam, Jacuzzi, Scottish shower and Vichy shower.